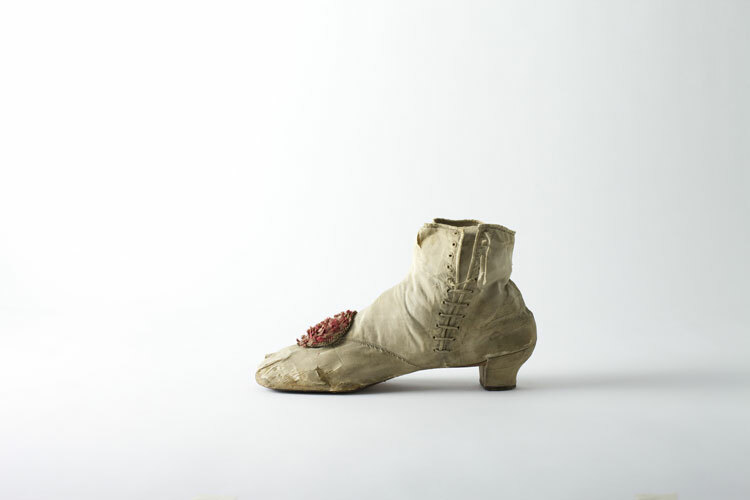 As part of London Craft Week, we are pleased to announce Footnotes, a new exhibition of artist responses to the LCF’s historic shoe archive, hosted at the National Trust’s Sutton House in Hackney. The exhibition will reveal objects from LCF’s eclectic archive which includes 1930s orthopaedic footwear, silk slippers from the 1800s and even a shoe made for a sheep, for the first time. Artists Eelko Moorer, Ellen Sampson, Linda Brothwell and Laila Diallo have produced new works inspired by the remarkable history of the selected shoes revealing new interpretations of historic objects under the guise of five categories – Scale, Balance, Fragility, Singled Out and Common/Uncommon. London College of Fashion’s shoe archive has been compiled to inspire and instruct students in the making and designing of shoes. 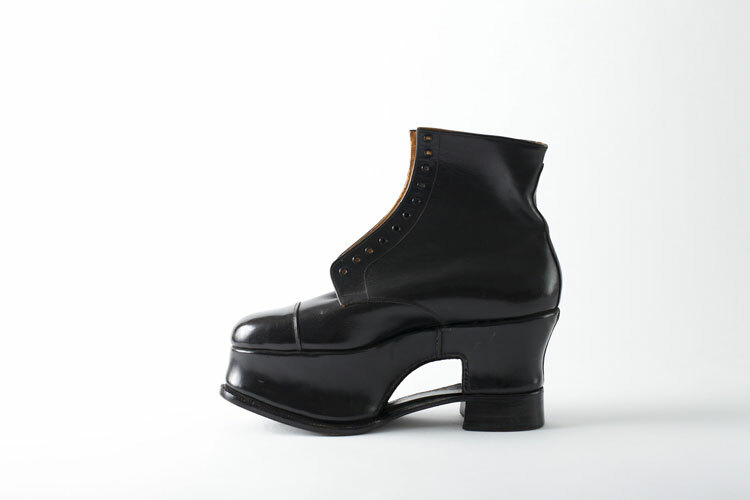 As objects, the shoes have so many interpretive possibilities for artists because the provenance of each one is unknown. Sutton House provides the perfect backdrop to Footnotes because of its own extensive history. Through this exhibition and accompanying programme of workshops and talks, we want to immerse people in the history of the everyday and in shoes as ways to reanimate the past and access personal and shared cultural memories among the audience. 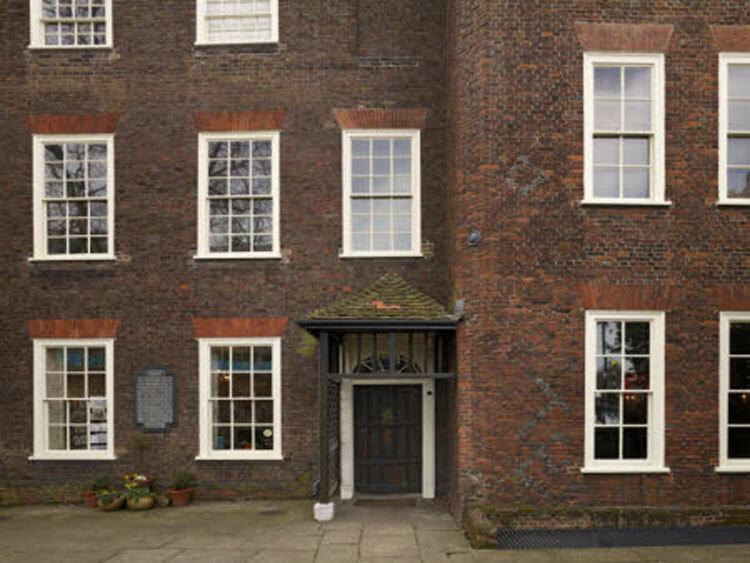 Sutton House is Hackney’s oldest home and it represents a myriad of influences which have made east London such an inspiring place. By hosting their ‘Footnotes’ exhibition at Sutton House, London College of Fashion have seamlessly matched their diverse archive of footwear with an equally diverse assortment of democratic, surprising and challenging stories. It has been a joy to see how the universal themes from this collection of shoes interplay with the history of this special place, and we are excited to see how our artists, community groups and visitors respond. The exhibition is supported using public funding by Arts Council England and sponsored by Kurt Geiger, the exhibition explores the cultural significance of shoes through the artists’ interpretations. It opens on 9 May, and will run until July 2018. An extensive programme of talks and workshops including a dance workshop exploring how shoes inform movement, fairy tale readings for children based on shoe stories and archive-based drawing workshops, will feature alongside the events – more details on these activities will follow.